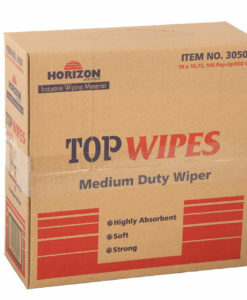 Horizon’s Multi-Purpose Top Wipes are strong enough for industrial cleaning or soft enough for general purpose use. 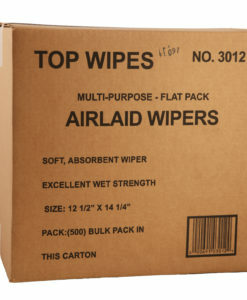 Made with airlaid bonded cellulose, these wipers deliver exceptional capacity for tackling spills and cleaning up oil-based and grease products. 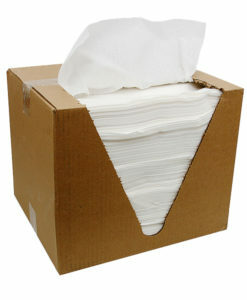 Popular uses include patient care (washcloths), retail food stores, healthcare and light manufacturing cleaning tasks. 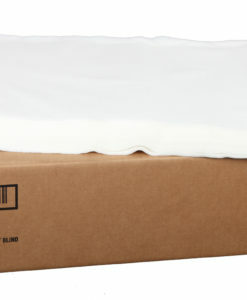 Count on the Airlaid Top Wipes to offer the feel and absorbency of a wash cloth without the cost.